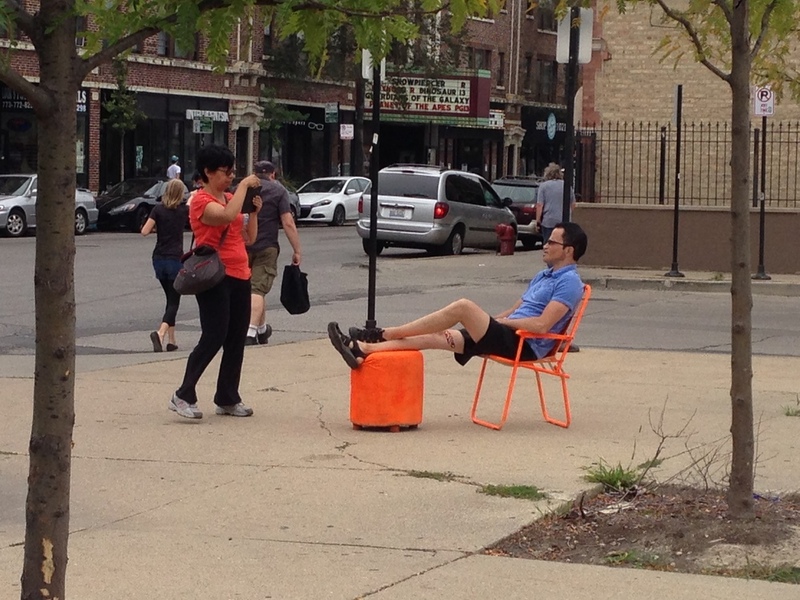 Nushu installed a pop-up plaza at the Logan Square Blue Line Station. The plaza has the potential to be a hub for the neighborhood, yet feels derelict because of disuse and disrepair. Several major bus lines stop and/or connect here, yet there is nowhere to sit. As part of the Metropolitan Planning Council's Placemaking Challenge (2014), we transformed the plaza for one day. 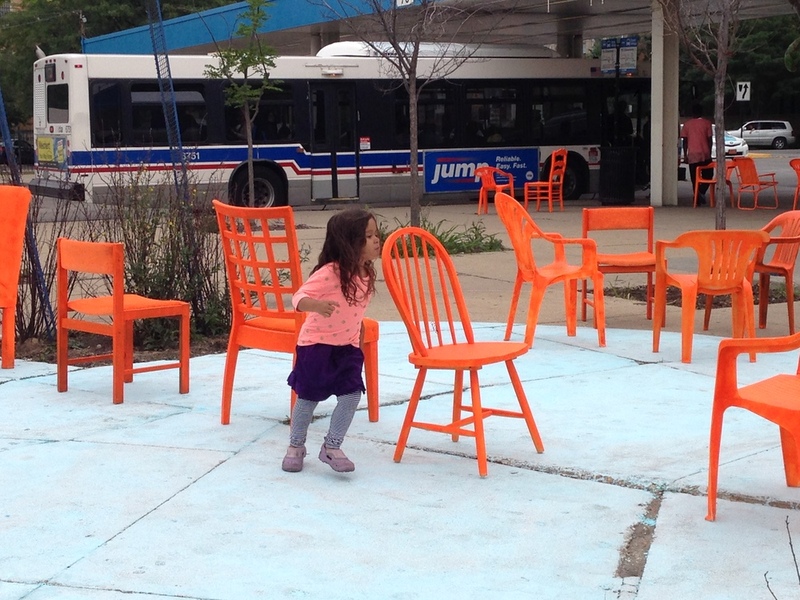 We installed bright-orange chairs and "painted" parts of the pavement. 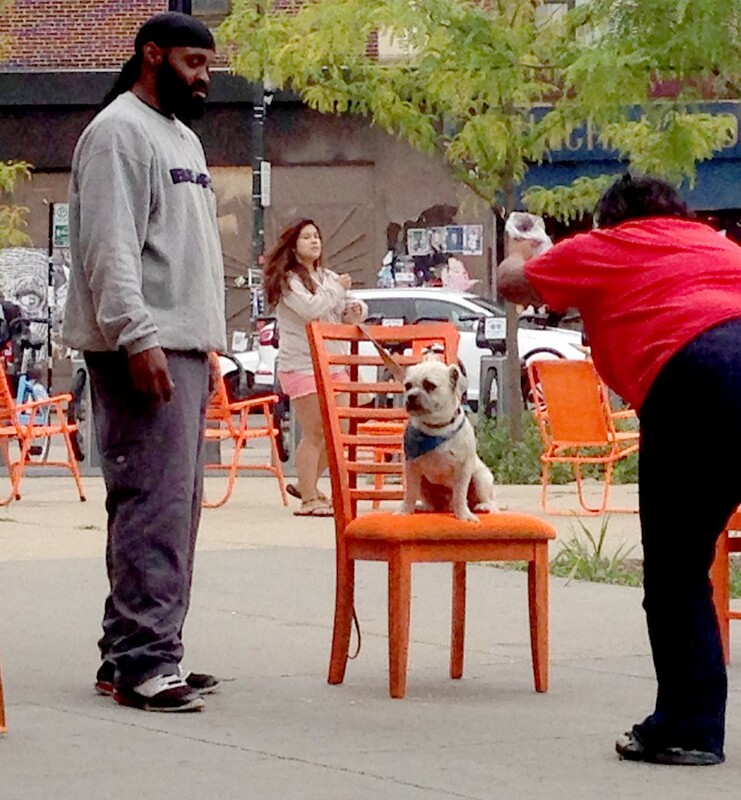 The intent was to provide a basic element of public space - a place to sit- that also had a bold presence. We re-arranged the chairs throughout the day to study patterns of use in the plaza. We located a chalkboard at the busiest point of the plaza to collect ideas from passers-by for future improvements to this space.